No drone experts were harmed in the making of this video … Or were they? Quadrotors are famous for performing amazing stunts in the frontier of what we think is possible from a machine. 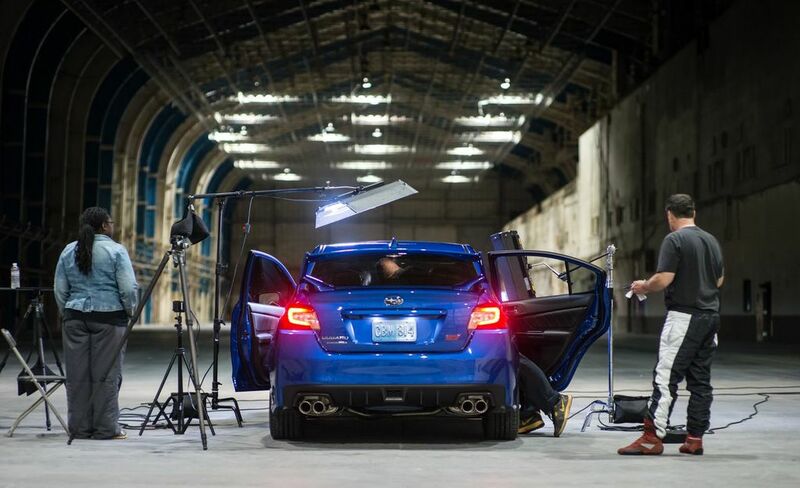 DDB Canada/Tribal Worldwide, which is the ad agency behind this project, wanted to associate the performance and especially the maneuverability of the new Subaru WRX STi with the stunts performed in various quad videos-gone-viral. 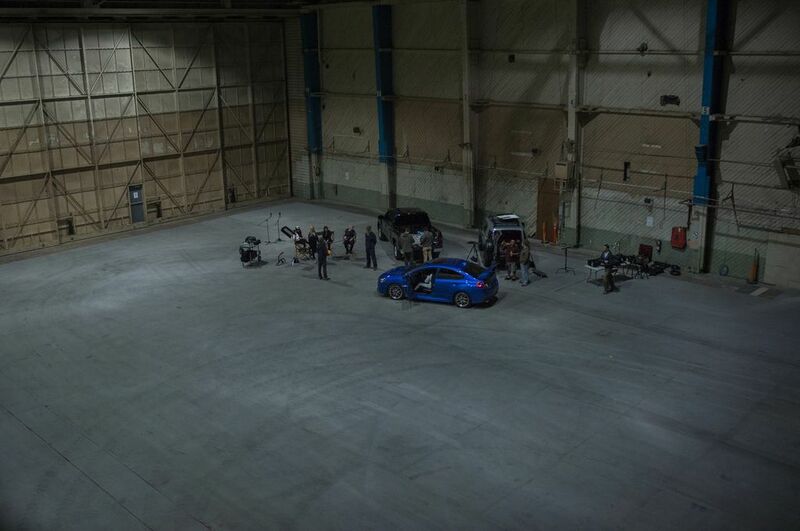 The production used live action captured in the Hughes Airport Hangar in Los Angeles, California (which was purchased by Youtube and converted to a 41,000-square foot mega studio) along with Big Block’s Drive-a-tron system where a car is accurately modelled – both geometrically (with manufacturer’s CAD models) and dynamically (its physics and performance envelope). However the quadrotors (although modeled according to real drones) are all computer generated (note that none of the behind-the-scenes photos contain a quadrotor). The final footage is almost completely CGI and the process took 8 weeks. By using real-life emulating models, the production ensures that what you see on the video could have been performed in real life. That is true for the car, which is accurately modelled, but it’s speculative for the quads, even if it’s not totally far-fetched based on what has already been done (but not at that scale) by several labs like the Flying Machine Arena, or even K-Mel, the robotics company behind the Lexus drone ad. We can’t blame Subaru for wanting to jump on the quadrotor bandwagon … quadrotors are popular, cutting edge and hip (they are already making an entry into concept cars). 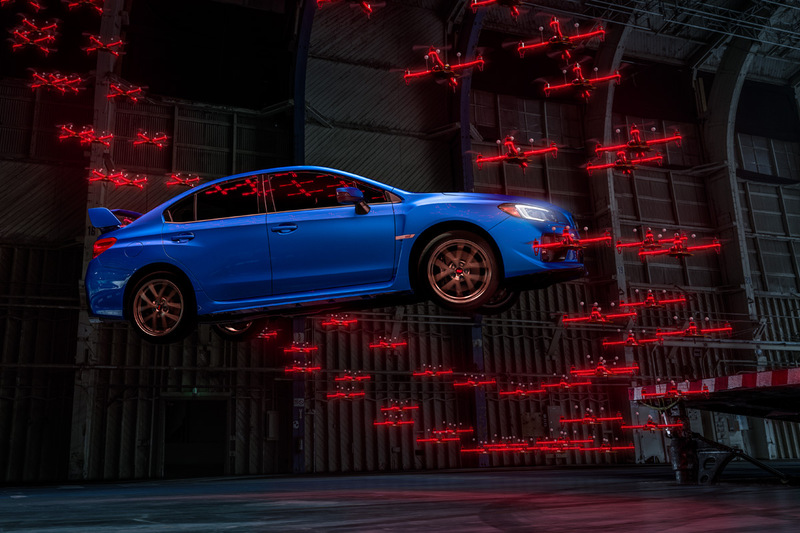 But while car enthusiasts will already have their opinions about the new Subaru WRX STi (it’s an evolution of a well-proven and popular model), we have to wonder how people’s expectations of drone technology will be shaped when they’re exposed to mostly CGI videos and advertisements rather than real footage. In fact there is some astounding work being done with high-performance quads and aerial swarms. If you want to get a sense of what’s really doable, check out the following 2012 video, which was developed for the The Ars Electronica Futurelab with input from ETH-Zürich, the University of Pennsylvania’s GRASPlab, and the MIT-Medialab. You can find the full behind-the-scenes story about this project here.